I won’t lie - I have found this a very difficult album. The musican’s skill does not need any discussion, it is all about the concept, the songs, the arrangements and the overall feel of this follow up to Road Salt One. There is a really big portion of 70’s Prog in here, but then experimentation with all sorts of slices of styles. I found some of it irritating, some parts bland others too smart for its own good. And yet there is also a lot to feast on. “Healing Now” is full of emotion and combines a darkish miserable tone with a slightly folk feel. “To The Shoreline” has some thought provoking drama and really intriguing musical touches. “The Deeper Cut “ has plenty of the best vocals and a slightly serious, or perhaps intense, feel. 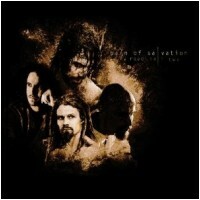 Pain Of Salvation could have put out a very different album but instead complete their Road Salt story with something challenging for the listener. They have pushed this beyond their own safety limits and certainly mine. That is fine as I don’t want the same message time and again but it is also quite difficult. This is interesting, intriguing, puzzling, mystifying, infuriating and I wonder if I will be coming back to it in years to come expecting it to grow on me a little. I think put it down too long and I may slip back to square one. Keep perservering and I will get my prize. I doubt much, if any, of the above is much help to you in considering this album. If you are left confused imagine how I feel! Much as I want to I can’t score it yet - I know this is a lot better than I feel it is right now but have no idea when I will agree with myself! I’ll try to score it in about five years.